Your child can begin at Cumnor House in the September following their 4th birthday. Our Pre-Prep department is all about providing your child with a stable, happy and productive start to their school days. Each child is encouraged to develop the habit of achieving to the best of their abilities enjoying and acquiring knowledge. 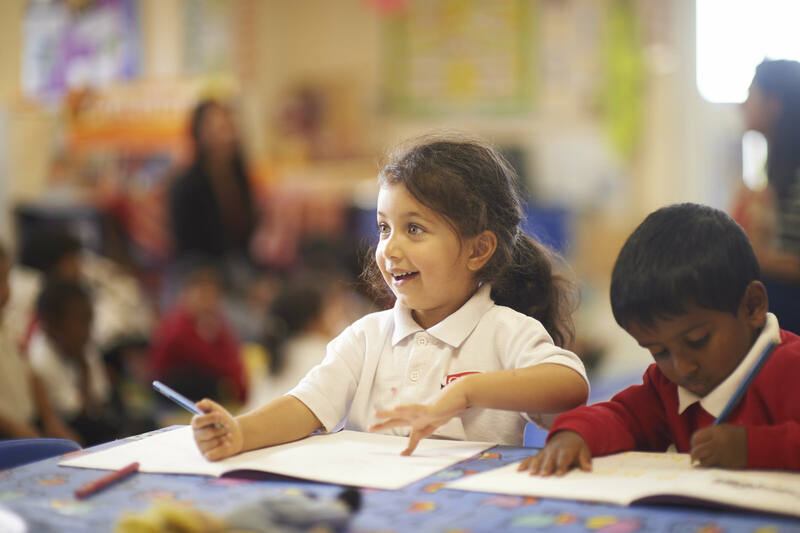 Why Choose Cumnor House Reception and Pre-Prep? There are many other specialist clubs run for your son or daughter to attend at the end of the school day. Many of which are included in the school fees and some are run by external providers and therefore payable as extras. Our extracurricular programme provides additional learning in various subject matters; from cricket to chess. The Boys’ School provides a wider programme of learning and opportunities to discover where natural talents and abilities lie. Form tutors teach Mathematics and English but they will also have specialists for Science, Art and Humanities as well as the subject specialists they have enjoyed in Pre-Prep for PE, Games, Music, French and Swimming. The Girls Prep School introduces your daughter to a wider programme of learning and provides her with opportunities to discover where her own natural talents and abilities lie. Girls enter the Prep School aged seven, either from Pre-Prep or from their Junior School. We provide a broad and balanced curriculum of Maths, English, Science, History, Geography, RE, ICT, Food Technology, Music, Art and Design, PE, Swimming and Games. Latin is introduced from Year 5.